The new Forte at Orillia Kia, design and comfort are its forte. 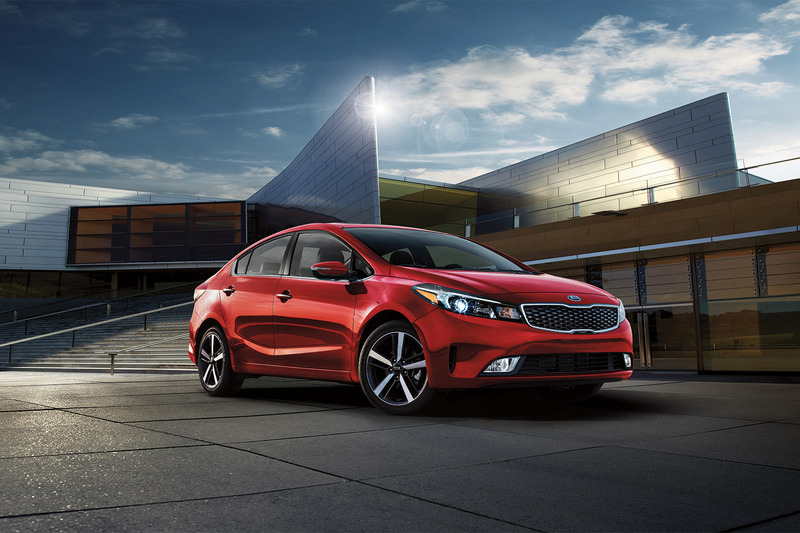 The 2018 Kia Forte. Combining technology, comfort, safety, and design, to be your perfect ride. The world is an unpredictable place, but the Forte gives you all the right tools you need to react accordingly with active safety features like vehicle stability management, hill assist control, electronic stability control and anti-lock brakes. Customize your driving so that it is the best driving experience for you. Available Drive Mode Select adjusts power, steering and the transmission to adapt to the ever-changing conditions around you. Normal mode is for everyday driving, Eco prioritizes fuel efficiency and Sport provides a more throttle responsive, performance-based drive. Stay connected to your Forte with features like Apple CarPlay and Android Auto which keep you up to date and are easily accessible by hands free voice activation allowing you to stay focused on the road safely. Technology, design and comfort are its forte. Stop by today get your very own Forte at Orillia Kia. Autonomous emergency braking system, Air-cooled front seats, XENON HID headlights, Steering wheel mounted paddle shifters, Lane keeping assist.